I’m not a huge traditional detective mystery reader. I’ve never read many hard-boiled or police procedural novels. But then this book, Chimeras, caught my eye. E.E. Giorgi, a scientist, writer, and photographer, managed to combine elements of science fiction and detective stories into a captivating novel that will titillate the senses. Seriously. I’ve never read a novel that evoked so many different olfactory responses. But it all makes perfect sense when you dive into epigenetically-altered Track Persius and his predatory instincts as a detective. It’s also one of the reasons E.E. Giorgi’s Chimeras just became a Reader’s Favorite Book Award Finalist. You’ve got to at least check out the blurb and give the book a spin for yourself. E.E. combines genetics, biotechnology, and mystery into a single package that reads like a sensory roller coaster. And, if that’s not enough, you can get a taste of here fantastic photography here: http://elenaedi.smugmug.com/ For more talk on books, science, and everything-in-between, take a peek at her blog: http://chimerasthebooks.blogspot.com/ If you don’t get too distracted by those awesome sites, E.E. answered a couple of questions regarding her scientific and artistic endeavors. Check it out! This past week, I had the opportunity to interview Mark E. Cooper, an author living in the south of England. A lifelong engineer, he recently made the jump into the world of words and turned his writing into a full-time endeavor. He’s the author of several series, perhaps most well-known for his Merkiaari Wars science fiction novels. You can get a taste of his science fiction work by downloading Hard Duty: Merkiaari Wars 1 or The God Decrees: Devan Chronicles 1 for fantasy. Both are free! You can find all of his works and more at his blog. Check out my interview with Mark below! Publishing my first novel and a short story as a bonus! 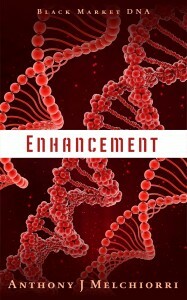 After several rounds of writing, rewriting, editing, and proofreading, Enhancement: Black Market DNA is on the market. I enjoyed blending my science background with some speculative fiction in this technothriller and I hope that it does its job and entertains its readers. Besides incorporating some bioengineering concepts like genetic therapies and manufactured biomaterials, I also injected a heavy dose of Baltimore into the novel. Baltimore, at times a bit frightening and sometimes charming, is undoubtedly a unique city full of character. It set the stage for what I hope is an action-packed, thrill ride of a novel. But tha t’s not all I’ve published in the past couple days. 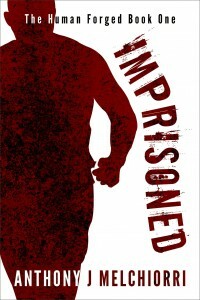 I wrote a short story called Imprisoned. It’s a sci-fi adventure inspired by my recent visit to Tallin, Estonia set in a future where biotechnology has influenced human life both in incremental and drastic way. Nick, our protagonist, faces the gritty reality of biotechnology when it is abused and manipulated. This story makes up the first in a series that will eventually comprise an entire novel by this September. I’m writing each part to be enjoyed like an episode of a TV show. Each can be enjoyed as they are published every two weeks, or they can be binge-read once the whole compilation comes out as if you’ve got a weekend getaway with Netflix.